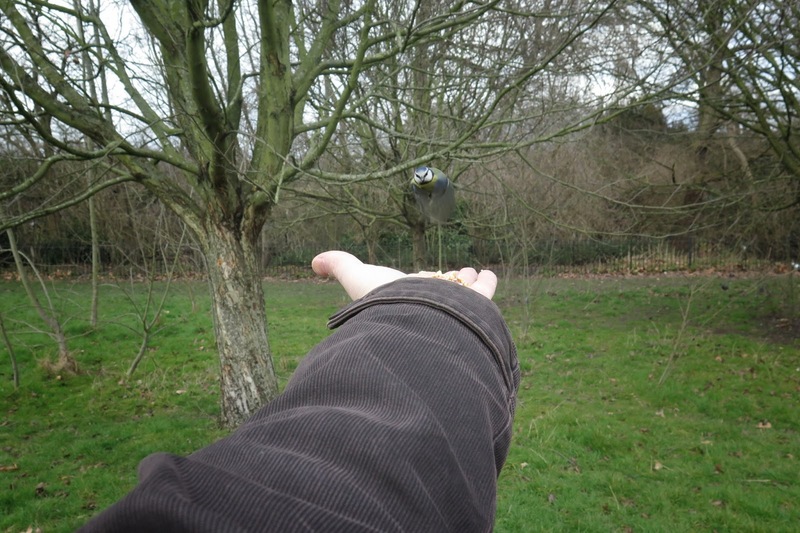 These birds aren't tame but they have become habituated to hand-feeding; they don't crowd around you as pigeons or ducks would so we did a lot of standing around with arms outstretched as they settled in nearby trees, hopping from twig to twig and often bottling it and flying away. Each time one was brave enough to come to us it felt heart-stopping, magical: a moment of rare trust from a creature that believes, quite rightly, that humans are generally to be avoided. I was a lonely child, although I didn't understand it in those terms at the time. The offspring of older parents, my five siblings were also all considerably older than me. I didn't feel included at school, either: I lacked confidence, struggled with social anxiety and was subtly but painfully bullied from primary school until I went to university – something I believed for a long time was completely deserved. I took solace in nature, and recently I've been thinking about the form that solace took; about the imaginative world that I built to escape into, alone. One of its key, recurring tropes – I see now – was to do with acceptance: I fantasised about a world of secretly sentient beings, like trees, and birds, and animals, who were actually pleased to see me and happy to have me around – a feeling I didn't experience very often in real life. I don't think I was alone in this. Exceptionalism is the central trope in so many children's books and films – think of Harry Potter! – and is without doubt a comfort to many children unhappy because they feel they don't 'fit in'. Nature was simply the backdrop to my particular imaginings, as it was to my life. But the fact is, as humans we move through the world causing creatures that can to flee from us; quite rightly, we have been excluded from the fellowship of animals. That's why I think there can be such enormous power in moments of contact with wildlife, when that contact is voluntary and unforced: for a brief few seconds we are not shunned, but trusted by an emissary from a world we have lost. Acceptance is something I believe, at some level, we all crave.